The Symphony of Southeast Texas is pleased to present “Port Arthur Pops”, a symphonic pops concert free of charge. A special addition to SOST’s 65 th Anniversary season, the concert will take place on Friday, May 11 th 7:30 at Lamar State College-Port Arthur’s Performing Arts Theater. 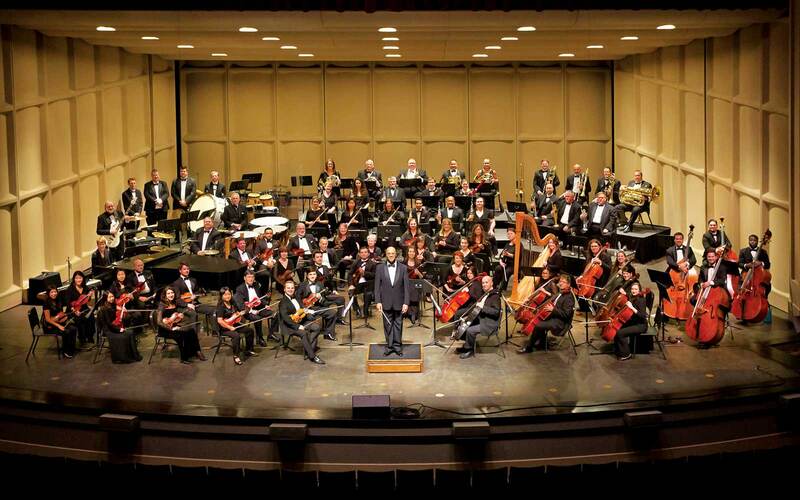 This free concert is part of the Symphony’s mission to truly reach a greater audience. 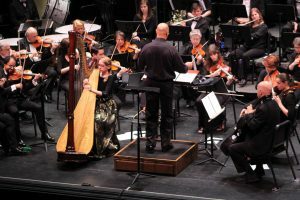 Formerly, the Beaumont Symphony Orchestra, SOST had the desire to spread symphonic music to a greater audience, one which encompassed the Golden Triangle. Thanks to a generous gift by the Community Concert Association of Southeast Texas to the Wilton and Effie Mae Hebert Foundation, along with further funding from Motiva Corporation, the symphony is pleased to present a one hour program filled with favorites of Henry Mancini, Duke Ellington, and John Williams. Maestro Tipton will join in the fun playing Leroy Anderson’s Clarinet Candy! The concert will include patriotic favorites of John Phillip Sousa, and also have Dr. Sam Monroe making his SOST conducting debut!